With new makeup trends and new makeup “lingo”, and can seem a bit confusing to keep track of the latest techniques. Bronzing? Contouring? Baking? What does it all mean!? 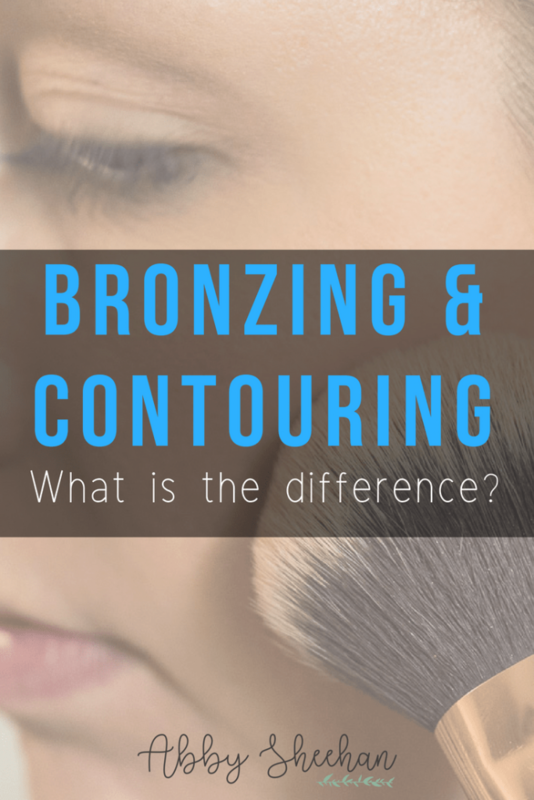 Today, I am going to break down for you the difference between “bronzing” and “contouring”. Watching makeup artists and YouTube videos, it all may seem like a confusing process, but I promise it’s not! Bronzing and contouring are super simple, and nothing to stress about! Just simple techniques you can use in your makeup routine if you like. I am also going to give you my top product recommendations for each category if you’re interested in stepping up your game or getting started in the bronzing/contouring world! The term “bronzing” simply refers to a technique of warming up your entire facial complexion. If you are wanting an all-over “glow”, want to look a bit more sun-kissed, or want to look a bit tanner and warmer, bronzing is what you want to do! Using a large bronzer brush, (my favorite is the Morphe R2, talked about in this post!) 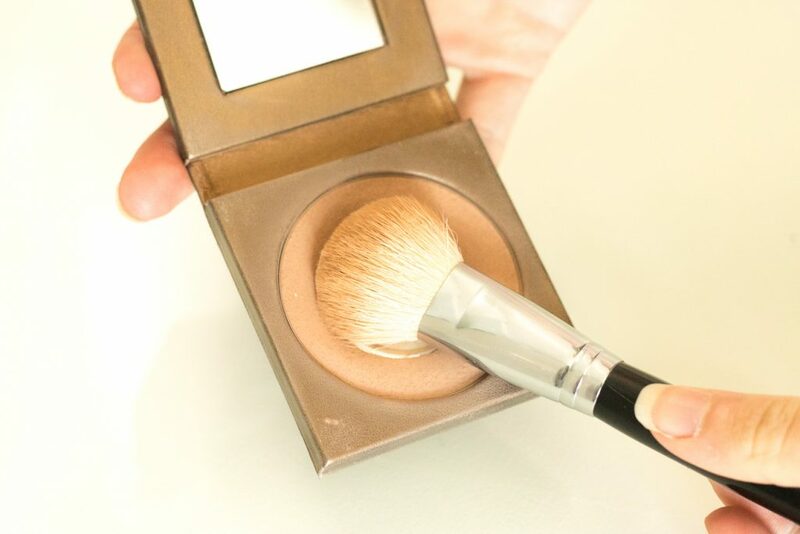 apply a large sweep of bronzer to the majority of your face. Although you mostly apply bronzer all-over, focus on your cheeks, jawline, temples, and forehead. Think of where the sunlight would naturally hit your face and make you darker quicker if you were out in the sun. This is where I like to bronze! Make sure your bronzer is very “smoothed out” and blended all over, we don’t want any harsh lines here! As you may notice, all of these bronzers have a bit of “shimmer” in them, but nothing too glittery! 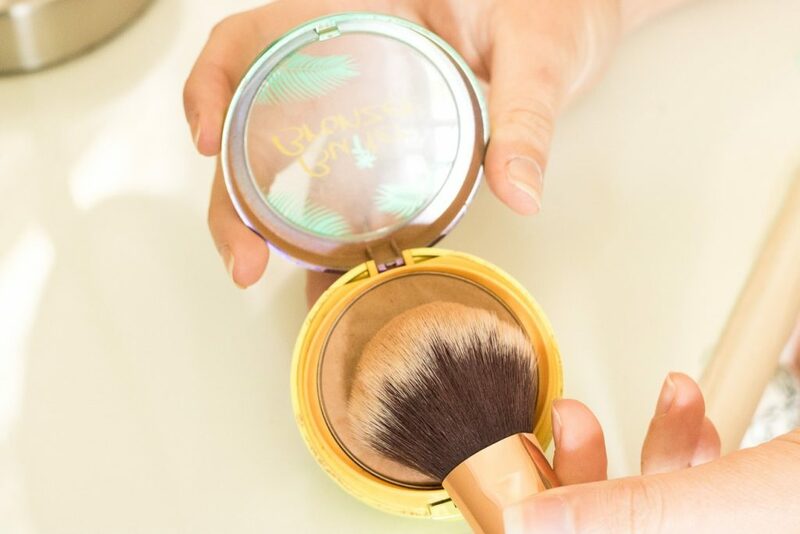 Bronzer is meant to make you bronzed and glowy, so the shimmer in all of these products is perfect in doing just that. Contour is similar, but also very different to bronzing. When you contour your face, you are applying a cool-toned, matte contour product to sharply define the natural contours in your face. Think of contouring as “chiseling” out your facial features. To make contour the most natural, you want to make sure your product is completely matte and cool-toned, to mimic the natural shadows your face creates. 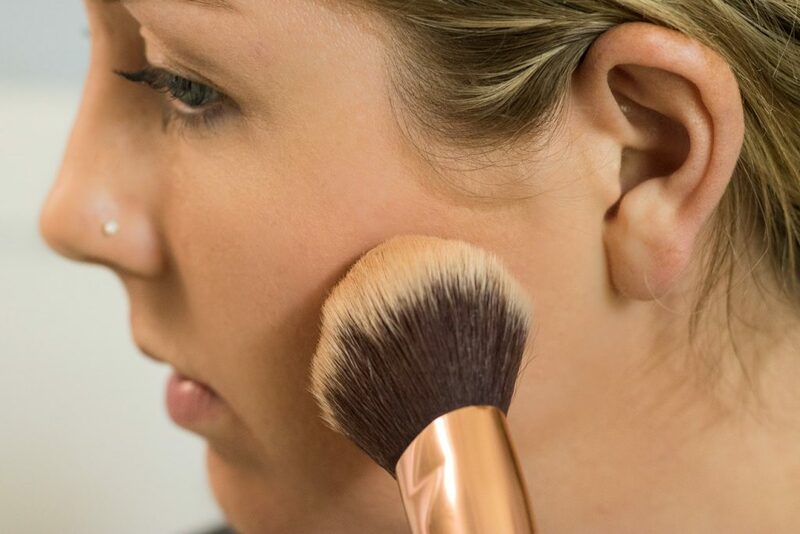 Using a more defined bronzer or contour brush (like the Morphe M523, talked about in this post), apply contour powder to the hallows of the cheeks, your temples, and your jawline. 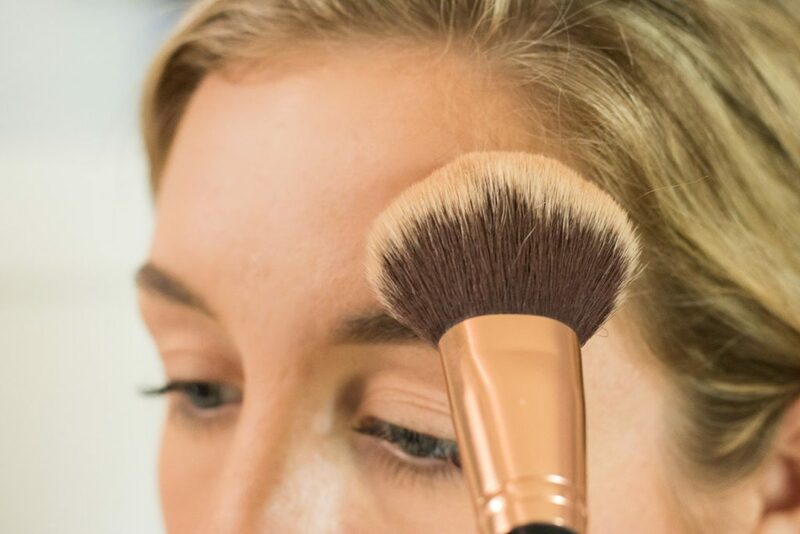 Make your application more precise and “sharper” than how you were applying your bronzer. Applying contour to the defined “shadows” of your face will pull them back or “inward”, giving your features a more sharp and defined effect. Another popular trend is contouring your nose, which I don’t do every day, but do like the look of when I do! 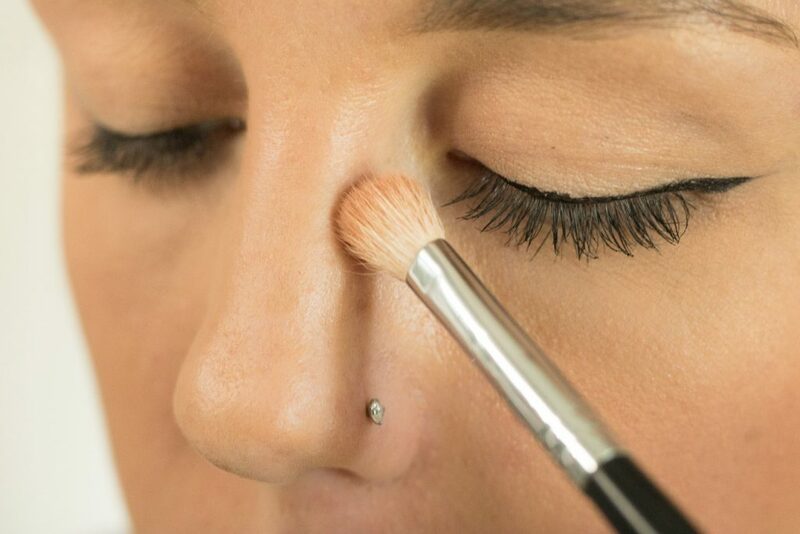 To contour my nose, I simply take any cool-toned matte eyeshadow and a fluffy eyeshadow brush. I apply the shade to the top ⅔ of the sides of my nose, and underneath the tip of my nose. This will bring the sides of your nose inward, making your nose appear smaller and sharper! Even though the last two products have the word “bronzer” in the name, I would still recommend all of the above for contours! All of these products are entirely matte and slightly more “cool-toned”, which is exactly what you want for a chiseled contour! I personally prefer the palette, as they give me a variety of contours to choose from depending on my tan. Many people immediately associate “contour” with a cream product, and think they need some sort of fancy cream product to contour! Not true! Just like I’ve said and recommended above, contour is simply chiseling out and defining your facial features by bringing the hollows of your face inward…which can be done with cream or powder products! I personally prefer powder products because I have extremely oily skin. I don’t like layering or adding any extra cream or liquid on my face than I have to! Cream contour products just slide off my face way too easily as my oils develop throughout the day. 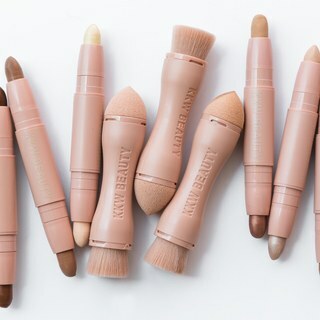 If you’re looking for a good cream contour product, I’ve heard nothing but good reviews from the Kim Kardashian contour sticks, but have never tried them myself. Let me know if you have! 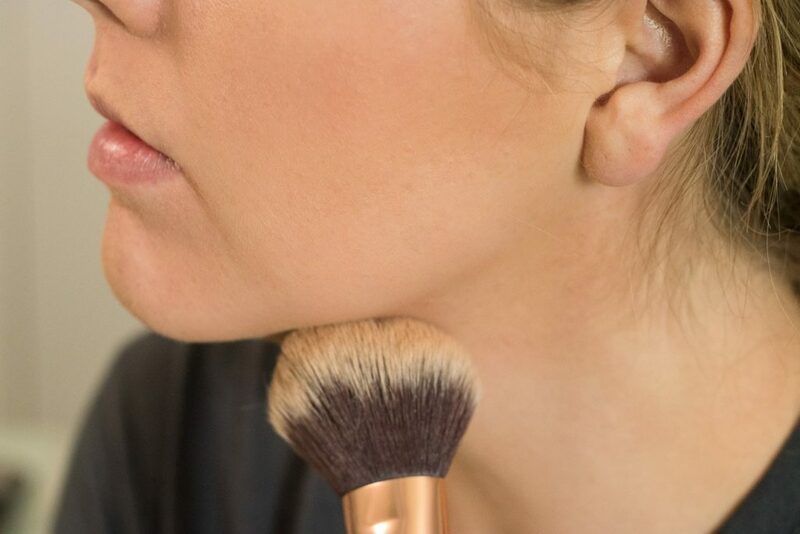 Do you have any other tips for creating the perfect contour or applying a glowing bronzer? I would love to hear them! If you want more amazing product recommendations, be sure to grab your FREE “Ultimate Makeup Must-Have Guide” that will leave you asking no more questions!